A recent decision to relax the rules concerning nurses immigrating into the UK from outside the EU has been met with positive reception. This move essentially excludes nurses (as well as some doctors) from being restricted by the government’s skilled migration cap, which limits the number of non-EU skilled workers to 20,700 annually. As much of the demand for Tier 2 visas – those used by employers to recruit skilled labour from outside the European Economic Area – come from vacancies needing to be filled by NHS workers, these relaxed rules open the door to tens of thousands of qualified nurses from abroad. 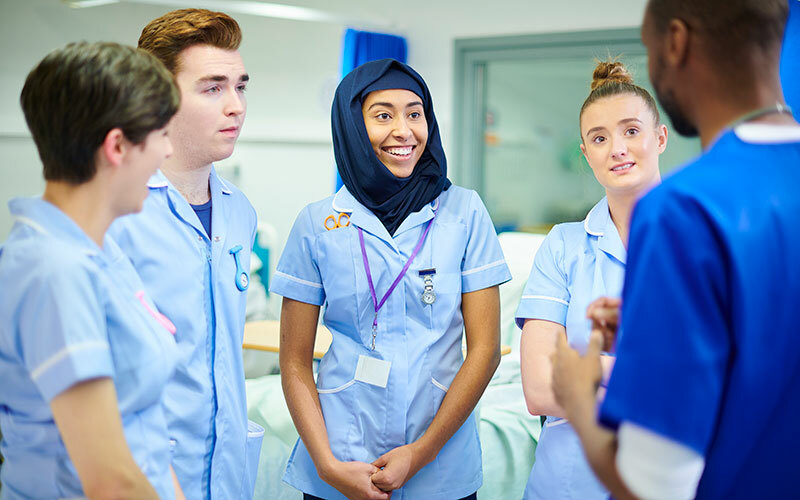 With more than 30,000 NHS nurse vacancies reported as recently as February, this move might serve as an opportunity for your organisation to capitalise on an influx of fresh talent. Nurse recruitment agencies, such as WE Solutions, are gearing up for this change and taking to the job boards to capture the first waves of eager candidates. Our ATS (Applicant Tracker Software) is specially designed for high-capacity recruitment and hiring rounds. Your Account Manager will be able to discuss the best approach – between summer and the end of the year – for filling your facility’s vacancies, quickly and affordably. While some organisations, such as immigration pressure groups, argue that Britain should train and develop its own medical staff rather than sourcing from other countries, this relaxed rule could help diversify the knowledge and skill sets found within hospitals – bringing a range of experiences to the table. Where there are vacancies, nurses need to be put to work. Otherwise, it’s ultimately the UK public that shoulders the burden of understaffed facilities. Many of these candidates are motivated and committed, ready to dedicate their loyalty to the organisations that get them in the door, visa in hand, and put them to work. Considering that, according to recent data, as much as 12.5% (45% in specialised fields) of the staff of NHS England are from overseas, foreign workers represent a significant portion of the workforce. Because if this, it often makes little sense to refuse qualified clinicians from overseas when there are huge shortages in the NHS. But it should also be noted that training places for nurses and midwives are up by 25%, according to Health Secretary Jeremy Hunt, speaking at the NHS Confederation annual conference in Manchester. That means there is an industry trend developing whereby facilities are improving upon the skills of their existing, local staff, while at the same time welcoming foreign clinicians to fulfill roles where needed. WE Solutions can help you plan, prepare and succeed at recruiting native, UK-based nurses as well as qualified talent from overseas. The recent announcement by the prime minister to remove nurses (and doctors) from the Tier 2 visa caps represents a unique opportunity, and WE Solutions would like to discuss some of the new options available to you. Send your CV to us now, so that we can do what we do best and you can do what you do best.